Along with “Laptime Club” and “Checkstar 24”, the “social” approach of the company is created, primarily aimed at building community around the theme of technology and the new ways of implementing innovation within the automotive and racing world. A number of launch initiatives are planned for the weekend at the hospitality area within the Monza circuit. On the occasion of the Italian Formula 1 2014 Grand Prix, Magneti Marelli is launching its social media platform “Magneti Marelli Tech and Racing” with the opening of official profiles on Facebook, (https://www.facebook.com/MagnetiMarelliTechAndRacing), Twitter e Instagram ( @MagnetiMarelliT ), dedicated to motor racing, technology and innovation in the car/motorcycle world and to the technical and historical heritage of the company founded in 1919. Magneti Marelli Tech and Racing complements the other social channels of Magneti Marelli that are already active or being launched on the web, Magneti Marelli LapTime Club (the online technological innovation laboratory) and Checkstar24 (the aftermarket division portal dedicated to motorists). With this integrated approach to the world of social media and digital communication, Magneti Marelli aims to create a “constellation” of communities of users with which to share multiple objectives: spreading technical culture, passion and information about the world of cars and racing, also creating a bridge to the world of both the aftermarket and products and components for cars available on the market; developing a new way of introducing innovation and collecting original technological ideas thanks to “lateral thinking” on the web. Adopting a long-term perspective, thanks to the constantly evolving potential of the web, another goal is to fuel interest and to promote initiatives on the common ground of innovation and sustainability. The potential audience, outside and within the company, that are the target of the social channels of Magneti Marelli, are therefore united with a passion for technology, for cars, for technical performance, for the future challenges of mobility and at the same time characterised by a heterogeneous composition: engine and racing enthusiasts, engineers working in the automotive world and professionals and technicians of motorsports, students interested in the world of technology and performance, everyday motorists, digital natives with the technical know-how derived from assiduous frequentation of the web, the media and bloggers interested in specific issues relating to cars, technology, information technology and the other related and associated worlds. The three new platforms complete a process that began with the launch of the website www.magnetimarelli.com: a portal that, in addition to the global reality of Magneti Marelli, its history and the automotive world, has already disseminated through the Focus on Racing and Focus on Automotive sections, respectively, the statistics, news and information from the world of racing and innovations from the universe of the automotive industry. 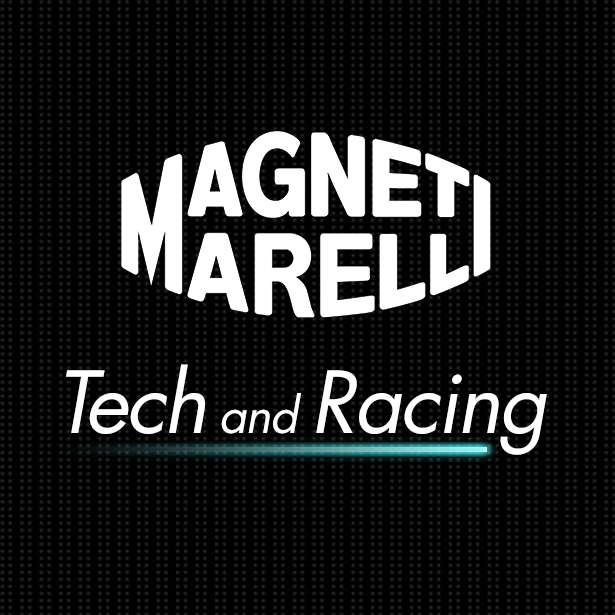 Magneti Marelli Tech and Racing (and in particular the Facebook page https://www.facebook.com/MagnetiMarelliTechAndRacing) sets out to be a place of gathering and sharing dedicated to fans of technological innovation and motorsports. In the world of racing and technology, what matters most are the details and Magneti Marelli will use the social networks to focus attention of fans on those small details that can make a difference. The world of Racing is an integral part of the Magneti Marelli soul and for this reason on the Magneti Marelli Tech and Racing Facebook page, generous space will be dedicated to the analysis of the most important motor racing competitions, starting with Formula 1. The experience and know-how of the company will offer all users a unique and privileged perspective on the racing world. The posts will offer insights, pre-race simulations based on the Magneti Marelli telemetry tools, trivia, historical and statistical facts dedicated to the protagonists of the tracks and paddocks. Particular attention will also be given to the technological innovations related to the automotive world, for example, the “From Race to Road” section recounts how the Magneti Marelli innovations in the field of Racing have been implemented in the world of production cars, while the “For Maniacs” section will illustrate and examine in detail technologies and advanced solutions for the automotive and mobility world. Finally, Magneti Marelli will offer motor and technology fans gems from its Historical Archives, a container of testimonials, images, stock photos, documents and artifacts relating to the history of the company and industrial development in the 20th century. Exploiting the mutual possibilities of reference and exploration, Magneti Marelli Tech and Racing will be closely integrated with the other social channels of Magneti Marelli: Magneti Marelli LapTime Club and Checkstar24, respectively aimed at the technicians and professionals in motorsports and at motorists. Magneti Marelli LapTime Club (www.laptimeclub.com), launched in July, is an online laboratory of innovation, aimed at motorsport technicians, professionals, technology and electronics enthusiasts and fans of any discipline able to bring technical and innovation-based added value as well as creativity. Specialist users have the opportunity to use and develop their skills, discussing the “challenges” and the topics proposed starting with the technological context of motorsport, in a logic of “open innovation”, i.e. of participatory and collaborative innovation. Checkstar24 (www.checkstar24.it) is the portal of video and news - about to be launched - promoted by Magneti Marelli Checkstar, the aftermarket division of Magneti Marelli, dedicated to all motorists who want to stay informed and understand the correct operation and maintenance of the technology within their cars. For this purpose, the Checkstar24 portal will offer, through a direct and intuitive communication, tutorials, short manuals and update news on the world of cars. At Monza, during the race days (5th-6th-7th September), all car fans will be invited to enter the Magneti Marelli Tech and Racing world. For the occasion, in the historic Magneti Marelli hospitality area at the circuit, a location will be available to the general public with access to the three social channels of Magneti Marelli - Magneti Marelli Tech and Racing, LapTime Club and Checkstar24 - together with a cardboard reproduction of the Facebook page where fans will be invited to physically “enter” the company's social world. Entry into the social world of Magneti Marelli will also be encouraged through workstations for multisensory experiences, “Fast Competition” and “Photo Finish”, within the Magneti Marelli hospitality area. Via “Fast Competition”, a Formula 1 simulator, fans will be able to try their hand at three actual driver practices, testing their skills in driving a Formula 1 single-seater in race starts, on the first variant and on the parabolic curve of Monza. Performance will be measured using the Wintax software, applied by Magneti Marelli in major sporting competitions. Drivers will then be able to share their protagonist results at the Italy Grand Prix on their Facebook profiles. The multisensory experience is completed with “Photo Finish”, an “App” offering Selfies with a Formula 1 setting, offering the opportunity to step into the shoes of the Magneti Marelli drivers for a day.